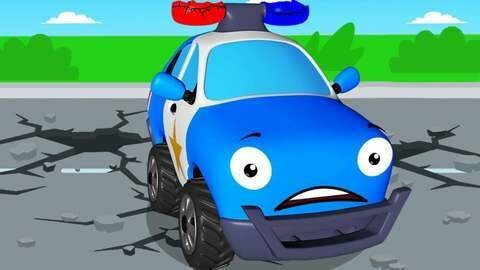 See the funny makeover that the Police car gets in the defective auto shop in this car cartoon for kids. The very rocky road ruins Police car so it goes to the auto shop for a repair. Unfortunately, the auto shop is also defective and it places funny, bow-like siren lights on the Police car. The other cars laughed at the Police car but the Excavator helps it by replacing the funny siren with its proper siren and lights. Keep watching funny car cartoon videos when you visit SeeZisKids.com.